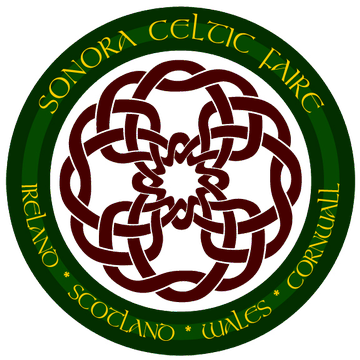 Celebrating the cultures of Ireland, Scotland, Cornwall, Wales, and all Celtic Nations with the 30th Year Anniversary of Sonora Celtic Faire located at the Mother Lode Fairgrounds. Sonora- America's original Celtic Faire, featured on National Geographic Television, returns to the Mother Lode Fairgrounds on March 11-13th, 2016. The 30 Year Anniversary of Sonora Celtic Faire will expand to three days of never ending Celtic entertainment. The largest gathering of Celtic musicians will be one of the highlights at this year's event, from high-energy Celtic rock bands to the most traditional of groups. With 16 musical groups, performing on four stages, the faire offers something to every age and ear! From National Geographic Television to the History Channel, featured performancesin 2011 and 2012 we keep adding more non-stop entertainment for everyone which includes: Scottish & Irish Clans, belly dance troupes, Scottish dancers, Irish Step dancers, Celtic Windows in Time-, (featuring 600 costumed re-enactors and 2500 years of Celtic History), armored foot combat, Welsh longbow archery, street performers, a giant, a fire breathing dragon, Vikings, jugglers, and a fire eater. Other highlights include the large Celtic food court and Celtic marketplace, with 80 + Celtic vendors, artisans, and crafts persons. A special feature at the faire this year will be the Scot's & Irish-Whiskey Bars. The best single malts and blends will be sampled and judged by the festival goers. The faire will also offer a large tavern offering Guinness, Harp, and other fine Celtic imports on-tap. No outside Alcohol, Food or Drinks.